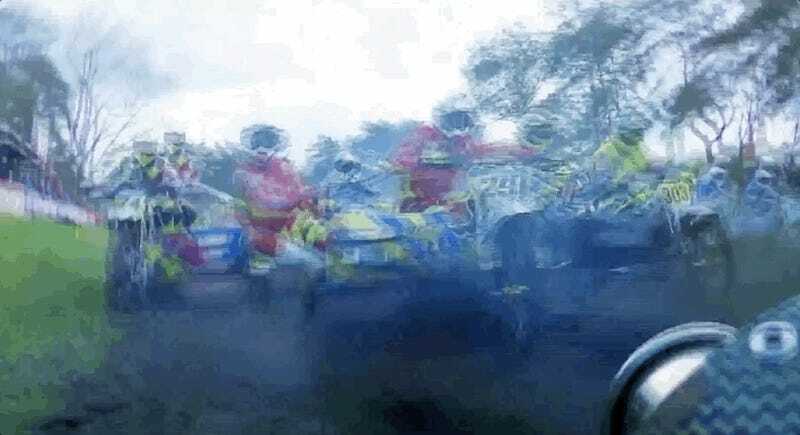 Motocross is an intense sport, full of dirt, jumps and the occasional freak crash. But there are people in this world who race motocross with a sidecar attached, and the person in that sidecar isn’t just sitting there hoping it’ll be over soon. They’re hanging off the sidecar like... well, it’s hard to describe what this is like. It’s kind of incredible, though. That’s for sure. The release said this style of racing is relatively unknown in North America, because Europe has been holding out on us all since they started doing it in the early 1950s. That’s a long time to keep such a good secret. Put this on primetime. Netflix, even. It’s binge worthy. After all, those of us in North America have a solid seven decades to catch up on here. Thanks, Europe, for always keeping the good stuff to yourself.